The word "Cryonic" basically itself means "freeze"or literally put a life in suspension and retrieve it later. The concept of Cryonic developed to test some of scientific experiments that are pertaining to natural law of instinct whereby living organisms mimic their biological mechanism and physical bodies in order to adapt or circumvent natural factors such as heat,cold and pressure and cope with natural environmental in a harsh climatic weather,gravity and others. The phenomena behind the Cryonic technique allows some certain group of organisms like mammals mainly ground squirrels,polar bears and other living organisms to hibernate their bodies in order to save their energies and preserve themselves when hiding from natural elements. Those organisms i have mentioned above normally go into state of dormancy for certain period of time like weeks,months or even a year. Frankly, speaking this instinct law of nature is very peculiar when observing these organisms like ground squirrels, toads, fish and others dung-in into the ground or mud to conceal themselves from environmental factors and surviving even without food inside barrows. In places where the climatic weather is extremely very cold eg in Arctic winter season. Those animals in tundra region hide themselves under the ice surface for several day until the weather changed to normal for them to come out another day or after several months for breeding and hunting for food. In hottest climatic regions eg in Namib desert where summer temperatures can skyrocketing above 45 Degree Celsius, where animals like side-adders and other desert snakes retreat into their borrows known as hibernaclus, and only come out during the most favorable season. A critical question: Can human being also go into a natural hibernation like other mammals? Certainly yes! The statistics conducted from several scientific experimentation, confirmed that all group of mammals include a human being can hibernate, since we are part of mammals with warm-blooded bodies that makes us better hibernators. We perhaps somewhere in our earlier development and evolution we have lost a full biological mechanisms that necessitate us to achieve this true hibernation straight away. 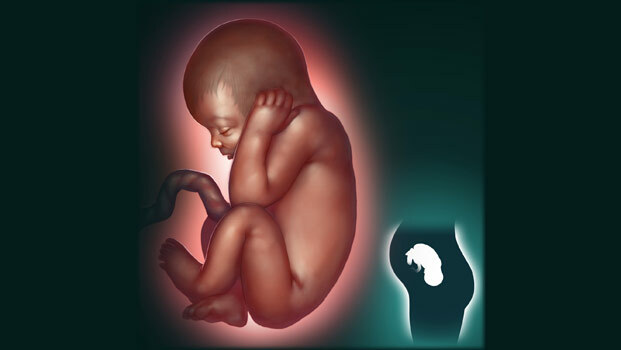 Of course, hibernation process is a central point of natural adaptability, this proved how we have been alive as fetus inside our mothers' womb for 9 months, we must note that the unborn baby is already a living entity that staying in a temporary dormancy waiting a right time to be born into a new world. We should pin point that, the hibernation process is characterized by profoundly reductions in metabolism, oxygen, water and organic food consumption and low heart rate. So, whenever an organism in the state of hibernation its body is mimicking some natural surviving miniatures that afford the living organism to adapts harsh environmental factors under constraining condition. When organism is hibernating it is totally in hypometabolic state (a state where organism’s body turns to lipids (fatty acids) rather than carbohydrates for the production of sleeping energy. Of course, the dormant organism loses some of its body weight during this endurable hibernation period. But however in long run the organism will survive much healthier. During hibernation period, an organism does not consume much energy, as compared to the wakeful state, where none-hibernated organism consumes a great deal of energy in physical body activities, and gain weight after continuous eating. In a hibernation period, a living organism decreased heart rate and blood pressure, all of which ensure that the body of a hibernating organism consumes as little energy as possible and excrete less water in the form of wastes minimally to prolong its energy stores and enduring longer period to stay without food and water. Human hibernation endeavor will be one of 21 century technological breakthrough in Biotechnology particularly in the field of Bionics and Cryonics. Although,this special field is at its infancy front, however its requirement and indeed specification is already in growing admiration. The benefit of human hibernation is another hope that will help Space Exploration, and be able to launch a human into interstellar flights. By mastering this technique will allow human crews to travel to those distant stars and galaxies with much easy,less cost and more safer. To put human astronauts in spacecraft need a serious protection and the right step is only to shield them into biocapsules filled with electrolyte fluids that behaves as the life-suspender in resemblance to Amniotic Fluid the semi-liquid found inside an embryonic cyst of human being that sustain the life of unborn baby within its confinement. Biocapsules, designed in this special way are highly needed as a miniaturizing life supporting machines, where astronauts be placed into during the endurable long voyage to outer worlds. The Biocapsule is an artificial cabinet-like that designed to mimic a biological womb of mother for proper hibernation [eg a baby in its mother’s womb]. The astronauts can seat comfortable in these biocapsules when the spaceship leaves the Earth and be re-wakened up again technically whenever the spaceship is just few kilometres to reaches such destination. Traveling a long journey to Mars or to Andromeda the most closet galaxy laying next to our own, imagine embarking on that endurable space voyage that takes 12 years a in flight. Such concern it took scientists to worry about the health implication of those people who will be on board. In order to circumvent avoidable problems,serve energy consumption and limiting loading capacity of the tiniest spacecraft. Therefore something must be done: Is unwise to load huge amount of energy [food,water and power] for one single crew package during one single voyage to those planets. Therefore bioengineers has avail opportunity through continuous studies of human hibernation, it has been estimated that life-suspension is a right solution to this critical dilemma. 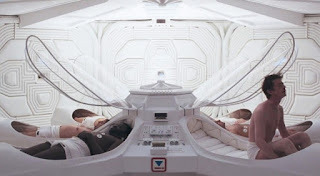 If the crews are biologically hibernated this can save much energy, minimized work loads and reduce the cost and reduced mental health problems like claustrophobia [homesickness] putting people into a state of dormancy (sleeping) instead allowing them to wondering about the tiny craft, it could hold huge protection. 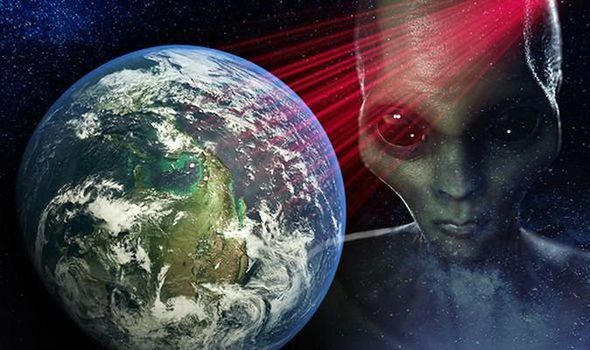 The people who will undertaking interstellar visitation, travelling thousands miles to distant worlds that exist somewhere million light years through deep space, those voyages will cost amount of food package,water gallons, tons of fuels and take several years to reach. Thus the planned journeys to Mars or to Kepler 22B , "earth-like planet" which is recently discovered in Andromeda solar system, that very,very far from our own galaxy. The voyage to go there at Kepler 22B for instance will take approximately 900 million years in flight, for any spaceship at speed of light. So researches about technologies like this one Human cryonics are highly needed in order to explore our own universe, which we are part of. Since the field biotechnology is still advancing at alarm rate, so very soon human cryonic will became a full brown medicines, additional to that of clinical reversement of premature deaths and life recuperation of people who involved in serious mobile accidents. Cyonic technology will improve people's longevity by retrograde people's bodies or simple suspending people's alive and intact for some months or even years and re-awake them up later again at certain time in future at their youthful state and even healthier than before. The advanced of hibernation technology will not only provides protection and preservation for human astronauts, but it can link with psychology in rendering mind’s comfortability for the cancelled people especially the inmates who may serving long prison sentences. Advanced Biohibernation techniques can induce any human being to go into certain state of metaphysical trance where a person create virtual scenes of harmony in his/her mind-picture. The technique also capable to induces benevolent effect on psychological level of human’s mind, where person has illusion with time,feelings and smells for stance. An inmate for example who serving for 30 years in prison can be biologically tranquilized [hypnotized] with special medicine to go into a hibernation state, and perceive 30 years jail term as equivalent to 3 months spent in prison. In the East, for example ancient China, Japan and India there are common traditional practices called Dharma Meditation that produce same mind effect closer to this kind of mind soothing technology i am trying to insinuate here. It believed that meditative person who exalting Dharma meditation developed high consciousness that focus more inward and less concentrate to the outward, this would help inmates pay less attention to world affairs, and most in these case a person perceive no time manifestation nor space, only come to feel the good thrill of it afterward, whenever reawakened. It is not only mammals that can hibernate or enter into state of dormancy, several microbes can able to hibernate, and enter dormancy during treatment application. An example single-celled organisms, or certain type of protozoans that enveloping themselves within a protective cysts[capsules] around their sooth membrane in order to survive a hostile drugged-environments. This is the reason why you get sick again after you been treated from sickness like influenza the same fever virus or bacteria. Doctors used to claim that the virus is resistant to the drugs. Microbial hibernation allow viral diseases and bacterial infection to spread so easily unhindered. The protozoan that cause Thyroid , for example, forms a cyst that allows it to survive in water and be passed from one person to another. The encystment(sack) allows them to live in a dormant state when the environment is unfavorable for them e.g. half-boiling anaerobic water. The microbial reactivate its normal body once the environment factor is suitable for living and for reproduction . Despite many scientific breakthroughs about Cryonic and Hibernation. Actual this technology still at its infancy level and much scientific research on life-supporting/life-suspension is really needed to be done. There are many challenges that curtaining this wonderful technology. The ethical challenges facing this particular field, is how to get on with a main target of experimenting a human in a hibernation test, right now there is no physical assets for cryonics that met alive human incubation and the technology to control the duration of person in such a deep sleep and re-awake a person that induced into dormancy. It is also hard to predict the outcomes from such a long-duration that needed for hibernation experiments. Up to now no body actually knew how truly safer for a human being physiologically and psychologically when his or her functionable brain and physical body went through such a strange experiment, we can do experiment on animals but so far no trials have yet carry out on humans.There are project like NASA corpic project, with the mission to launch a human on planet Mars, that are just narrow. 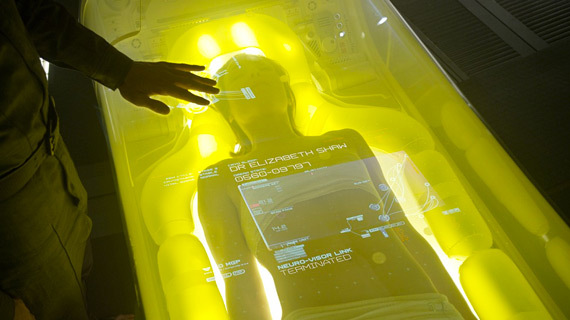 Human cryonic is an alternative solution for interstellar travel. And secondly is an answer if human immortality could be attained one day in future.